The state of Louisiana filed a lawsuit against Fresenius Medical Care North America alleging the clinics deceived patients through fraudulent marketing to sell substandard dialysate. The company has 100 clinics in the state of Louisiana that allegedly provided the dialysis products. 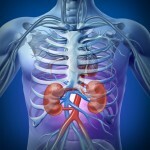 The East Montgomery County Observer tells the story of a 27-year-old man with kidney failure, whose quality of life was greatly improved when he began using a portable, in-home dialysis system. AL.com reports that a dialysis center in Bessemer, Alabama, remains shut down, but investigators have yet to identify a specific cause or pattern for the infections that killed two patients and hospitalized several others in May. Although a laboratory analysis by the U.S. Centers for Disease Control and Prevention recovered six different bacteria from blood cultures of patients who were sickened, no pattern indicating a specific cause has been established. 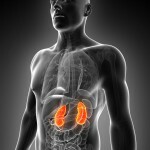 A federal law dating to the 1970s provides virtually free dialysis to anyone suffering from kidney failure, according to a story in the New York Times. 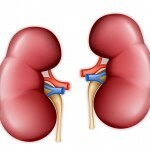 But renal experts are trying to encourage doctors to give older kidney failure patients, many of whom suffer from other ailments, a more realistic assessment of how much the procedure is likely to help them. A dialysis center that was shut down in Bessemer, Alabama, following the infection-related deaths of two patients has a prior history of health violations, according to a report on Al.com. In a report about a year ago, the Alabama health department cited the clinic over multiple infection-control deficiencies. In one of those cases, a patient was hospitalized. 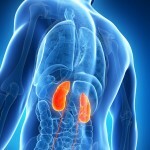 An analysis of for-profit kidney dialysis centers published in the medical journal JAMA Internal Medicine found that they used more of an expensive and dangerous class of drugs known as erythropoiesis-stimulation agents (ESAs) than non-profit facilities. This isn’t the first time that commercial dialysis centers have been accused of engaging in unsafe practices.